So after applying my foundation sparingly the last couple of days and finding that within a few hours my face had almost completely reverted to its original *slightly terrifying haha* pre-foundation state I stumbled across an old friend. 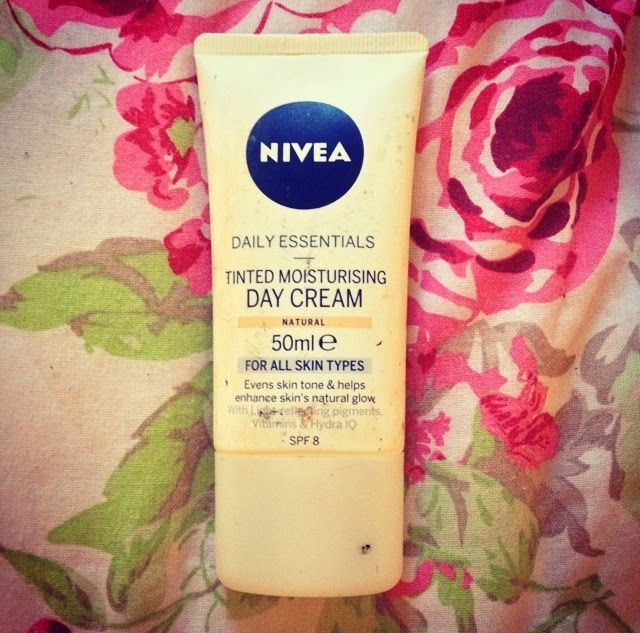 This old friend is my Nivea tinted moisturiser. If I'm honest, I'd pretty much forgotten about this product until this morning - oops - so upon finding it at the bottom of my make-up bag I decided to see if this could help with my summer-foundation troubles. I purchased the moisturiser in the shade "natural", which is slightly darker than my natural skin tone, but as I do get a (teeny tiny) bit of a tan throughout the summer months it's not to much of a problem. However - due to this - this probably isn't a product I'd use in the winter months in order to avoid looking like my face had gone on holiday without the rest of my body... which obviously wouldn't be great. I applied the moisturiser with my Real Techniques Stippling brush (which you can read my review on here if you like) by buffing the product into my skin. I found it had a pretty good coverage considering it's not a foundation, but without feeling too heavy on the skin. Perfect for warmer days. After application, I simply dusted over with a light coverage of setting powder and then added a little bronzer to my cheeks, jaw and hairline before completing the rest of my day to day make-up (eyes, eye-brows etc). I have to say that I was pleasantly surprised by this product as it lasted well throughout the day - despite me being out and about in the sun - and it felt like my skin was able to breath. Bonus (x2) - this is perfect for dryer skin (which I have) due to the moisturising effect and the product has an SPF 8. Always nice to have some added protection from those nasty UV rays! Now I know you can purchase light coverage foundations - I have some from Rimmel that I love - but personally I feel this is much nicer on my skin for warmer weather. This is a perfect alternative if you want some coverage on warm summer days or simply prefer a lighter product compared to a normal foundation. If you're interested in purchasing the Nivea Tinted Moisturiser, you can purchase it from Superdrug for a lovely low price of £3.59 (remember those NUS cards if you're a student for discount!) or click here to view the product on their website. I personally purchased mine from the shop Savers (not sure if these can be found through-out the UK or not, but if you have one by you be sure to check it out. 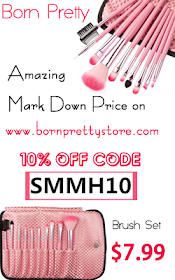 It usually has lots of products on offer at cheaper prices and I LOVE it haha! If anyone else can recommend some perfect foundations/tinted moisturisers/BB creams for summer use, please let me know. 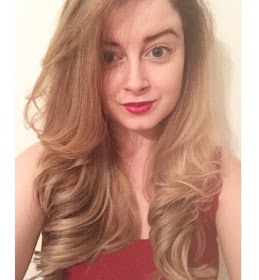 I'd love to try something new! Back in the 21st century and a thank-you.